Rowing is fun, a fantastic way to meet people and a great way of keeping fit. Once a year AUBC run a new recruit program during Orientation Week at the University. This program is aimed at those people who have never rowed before, and want to learn to row or who may have rowed a little but want to restart from the basics. It's a great way to join a great Club! Anyone can join in, you do not have to be an Adelaide University student, all ages are welcomed, but generally the ages of those that attend are approximately 18 to 30 years old. The sessions are held out of the Barr Smith Boat Shed on the northern banks of the Torrens River, for directions click here. The intake is held in the Summer after Orientation Week of each year (early March), at the commencement of first semester. Sessions times will be decided on a year by year basis. The program runs as an 8 – week block where fundamentals of the stroke are taught and everyone is encouraged under the watchful eye of the coaches. An introduction to weights and ergometer training will also be provided as well as a path outlining where your rowing can go at the conclusion of the program. 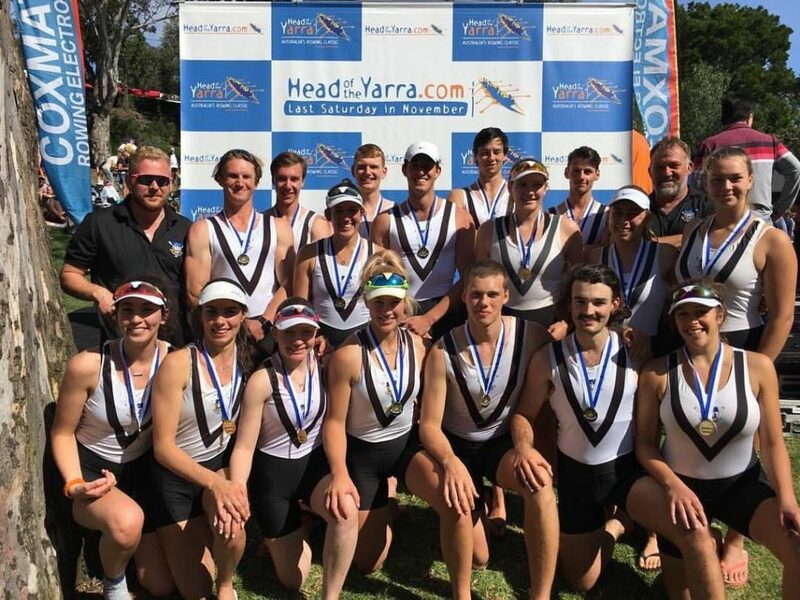 We aim to eventually integrate all new rowers into the senior squad at a pace they can handle. Should you require further information about any of the above please contact the Club Captain at captain@aubc.asn.au.